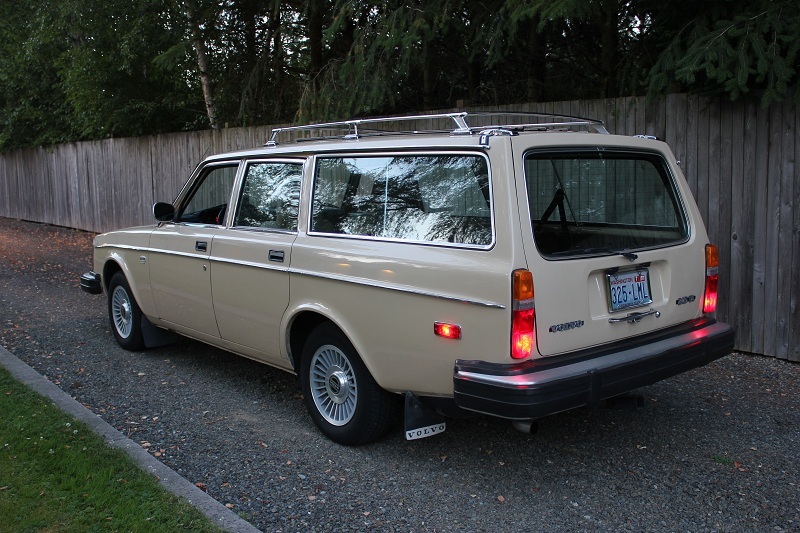 After yesterday's 1800ES roadkill, how about a bargain-priced alternative that's still a super clean Volvo wagon? 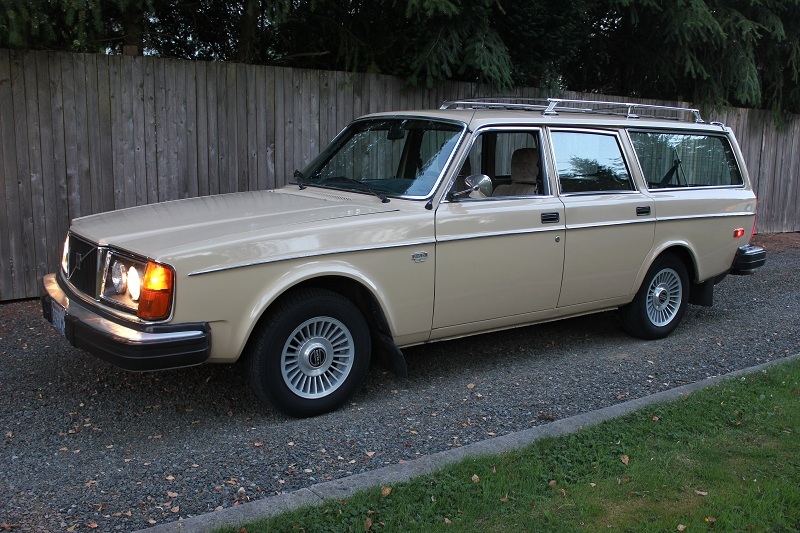 This 1978 Volvo 245DL is named Helga...because hey, every Swedish car needs a good Viking wench name. Helga is an awesome survivor car wearing her original paint, having been through comprehensive recent maintenance and including some nice OE upgrades as well. The owner claims it even smells new inside. Find her here on the turbobricks forums for a song - just $3500 in Woodinville, Washington (see the seller's website here if you can't access the forums). Helga wears her original beige comfortably and the stainless steel accents around the windows work well on this early 240, complimenting the chrome roof rack and "quad round" headlight setup. The Commando extruded aluminum bumpers are worth big bucks to the metal recycling guys prowling your neighborhood, so we'd be sure to keep them bolted securely on the car for fear of them being sold to make 10,000 soda cans (each). The original steel wheels with their dog-dish hubcaps and chrome trim rings have been swapped out for a set of OE Volvo 14" Corona alloys, which were standard equipment on some up-market versions of the 240. Aesthetically they work great with the stock and sanitary appearance and we wouldn't change a thing if she were ours. 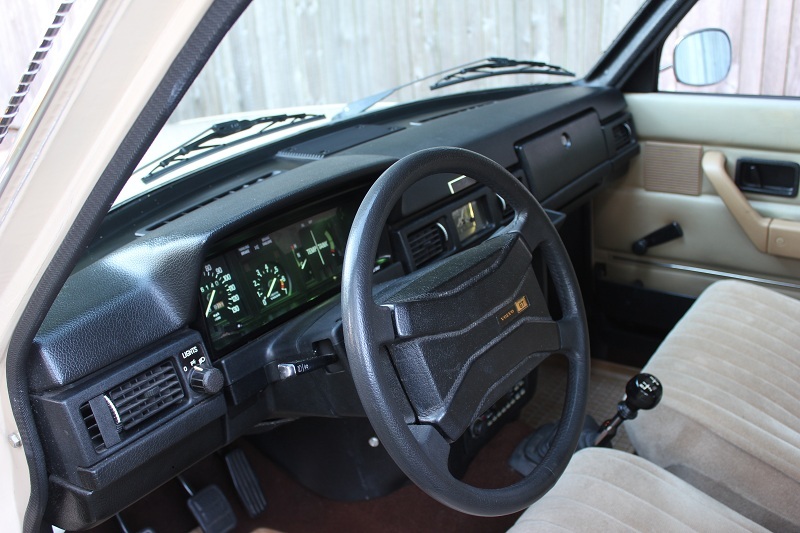 The interior looks as good as the exterior, with the early-style dashboard seemingly uncracked and in perfect shape. This is an incredibly rarity given the propensity of these vinyl-covered foam dashes to split like a banana in the Red Sea. The cool Northwestern climate and overcast days probably deserve some credit there, as well as caring owners of course. Helga's sporting a smaller diameter steering wheel from a 242 GT, which is a welcome alternative to the huge ship's wheel she would have had from the factory. The 4-spd plus electric overdrive M46 transmission is a huge plus as well - often times these clean survivor cars are sodden by mushy autoboxes and DT is all about "rowing our own" (gears). The off-white vinyl rear seat looks absolutely immaculate. 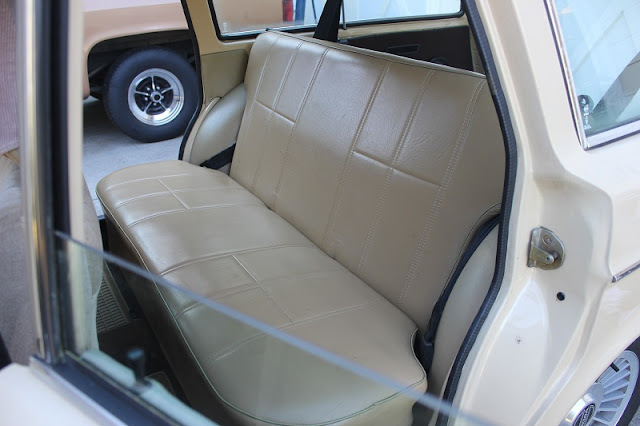 However, the seller admits the front seats have some tears under the fuzzy slipcovers. 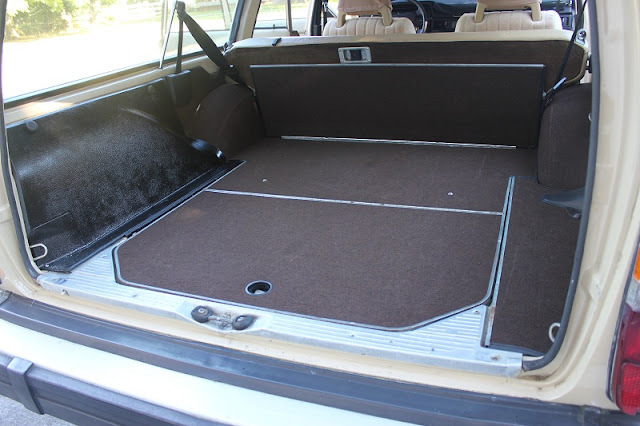 We spy the durable OE Volvo plastic tray style floor mats in matching tan as well. Overall the interior is antiseptically clean. The carpeted rear cargo compartment looks like it's been very sparingly used and could be mistaken for a replacement, but this is all original inside. We don't get any details on the engine but stock equipment was the K-Jet (continuous fuel injection) equipped B21F, 2.1 liter Redblock inline four. These are perfectly adequate for daily driving duties but can be easily turbocharged and/or swapped for a later more powerful iteration. We'd be tempted to leave this one stock as a true survivor however, given the condition. Volvo floor mats, IPD cargo mat, dash cover, new front seat belts, Volvo GT steering wheel, rebuilt speedometer with tachometer, coin tray, Chrome roof rack, Wolfe car cover, new windshield, new master brake cylinder, front calipers, front, rear disc brake pads and fluid, new sparks plugs, injector seals, fan belts, water pump, timing belt, and thermostat, recent new heater core, switch and fan motor, IPD front and rear sway bars, KYB rear gas shocks, new rear coil springs, recent clutch assembly, recent rear suspension trailing arm bushings, recent new exhaust manifold, header pipe and exhaust system, radiator, oil and filter changes every 3,000 miles since 1978. If this wagon was in DT's backyard, it would have been ours yesterday - rest assured this is one of the nicest original 245s remaining, anywhere...and we hope it goes to one of our faithful Thorsday readers! Ugly, slow and pointless for me to own. Yet I still want it. ~ what could be pointless about an invisible cargo hauler that has been upgraded, maintained and will always be worth what you paid? can't break the speed limit all the time. Wow, this brings back memories. This was my first car, right down to the color, although mine was an automatic. Got it in '87, the summer before my sr. yr. in college, and kept it until '96. Never had one problem with it, aside from the a/c crapping out a year or so before I sold it. I loved that car and am still kicking myself for getting rid of it. I have the 3-speed automatic brother of this car right down to the paint and interior colors. 35 years have been much harsher on this one though and the interior is falling apart. The body is still strong though, and even under all the faided paint and deteriorating hoses and parts, she runs stronger and more reliably than any other $750 craigs-list weekend find I could have chosen for sure. So little actual plastic and so much long-lasting steel, and the parts are so cheap if not entirely local, I still have much more fun driving this car, I hope to get her looking as good as this one some day.